NOTE: The following account is a summation of the stories told by Mrs. Ruth Hayes and may or may not be the actual historical account of the Rehoboth Beach Bandstand. The bandstand was first conceptualized by the late Mr. William Hayes in 1963. He was a wonderful man who could “play all instruments,” said his late wife, Mrs. Ruth Hayes. In later years, the City of Rehoboth Beach allowed Mr. William Hayes the opportunity to design a brand new bandstand. As described by Mrs. Hayes, “Bill designed a beautiful bandstand!” The City of Rehoboth Beach soon built the familiar bandstand structure that stood for over 40 years. Mr. Hayes continued scheduling and operating the Rehoboth Beach Bandstand until his passing in 1994. 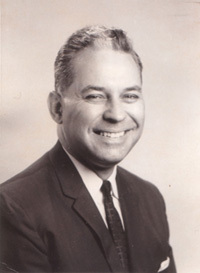 Following his passing, the scheduling duties were passed to his late wife, Mrs. Ruth Hayes. Continuing the legacy that her husband started, she continued to schedule and run the Rehoboth Beach Bandstand every summer. 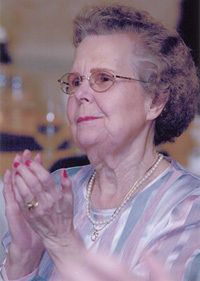 Her love of the performers kept her spirits up and allowed her to keep her husband’s memory close to her at all times. We thank you, Mr. and Mrs. Hayes, for all you have done, and all your spirit will continue to do for the City of Rehoboth Beach, the Rehoboth Beach Bandstand, and performers nationwide. F ollowing the passing of Mrs. Hayes, the duties of the bandstand were passed on to Mr. Corey Groll. 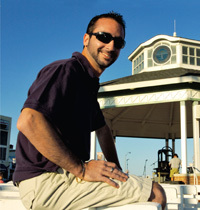 Corey stepped into the role of bandstand program director at a pivotal time with the reconstruction of the bandstand venue. Corey Groll had previously worked with Mrs. Hayes since 1991, when an internship as sound engineer eventually led to a job spending summers running the sound system. The first summer after Mrs. Hayes passed, Corey ran the bandstand using the schedule she left behind. Since then, Corey has continued to work hard maintaining the structure of the bandstand and providing entertainment in many musical genres for people of all ages. It is with great honor that the Rehoboth Beach Bandstand has provided so many performers the chance to showcase their talents as well as provide the visitors of Rehoboth Beach with something FREE to look forward to summer after summer. It is no small feat to be able to keep this tradition alive and Corey Groll is thankful to all of the regular patrons to the venue who continue to lend their support to the programs.